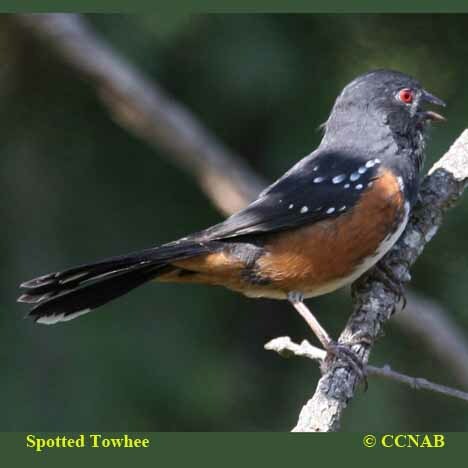 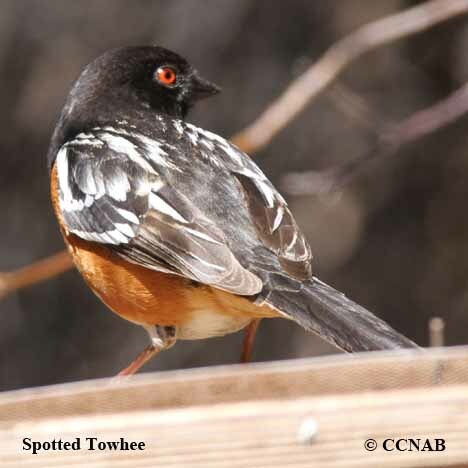 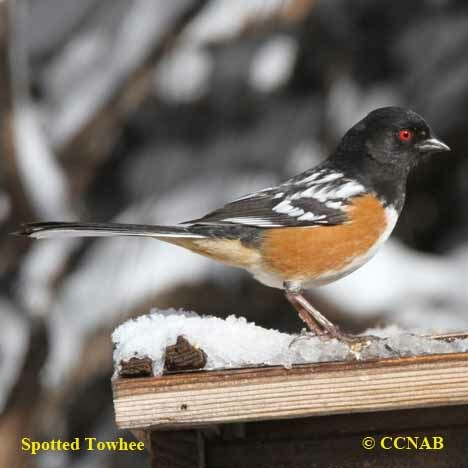 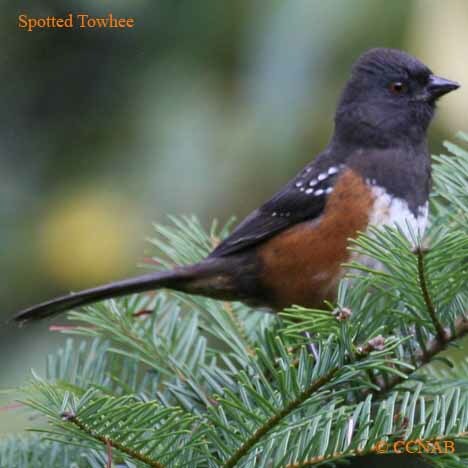 The Spotted Towhee has the largest range of Towhee family. 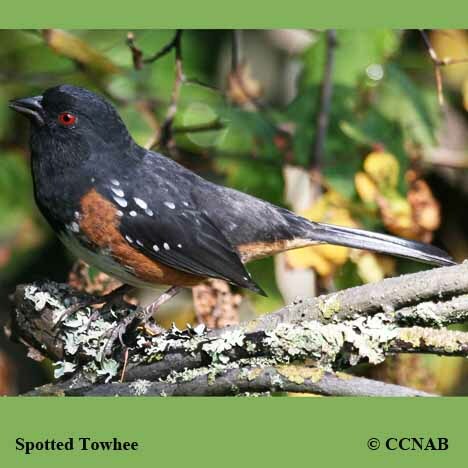 This bird is found in over half of the US states and along the southern regions of the western provinces of Canada. 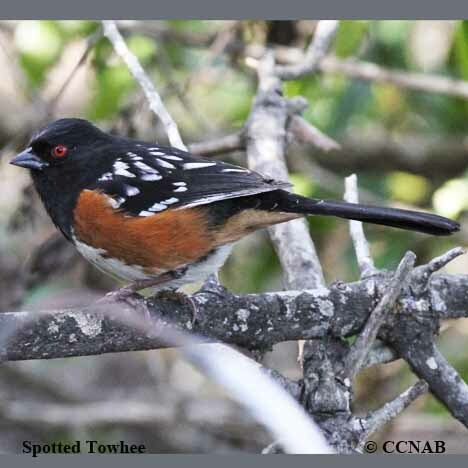 It was once a sub-species of the Rufous-sided Towhee, who in itself has been renamed to the Eastern Towhee.